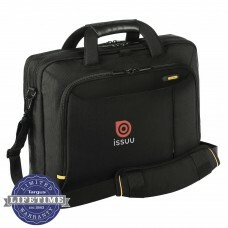 The Targus Messenger laptop case fits most laptops with up to 15.6” screens. A protective padded laptop compartment offers extra protection and the front load workstation includes organization essentials such as media storage, pen loops and laptop accessory compartments. 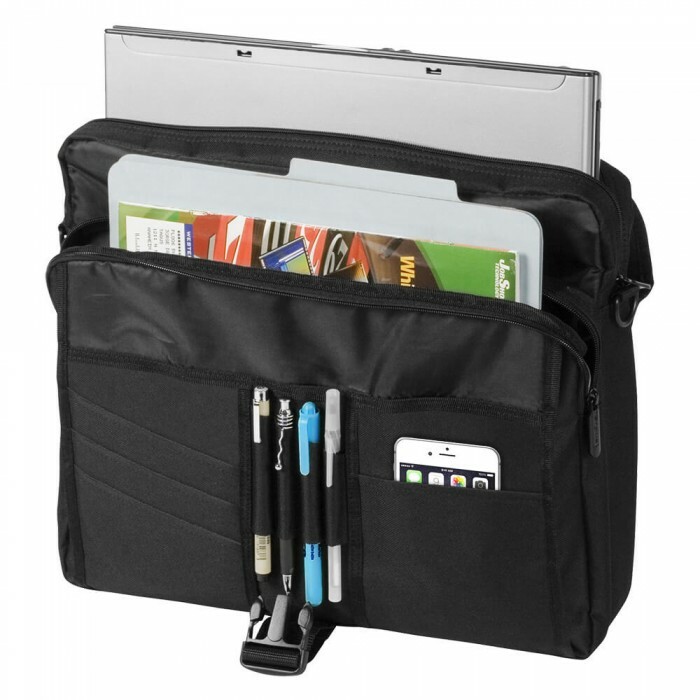 Two separate zippered file sections are large enough to accommodate files and magazines. 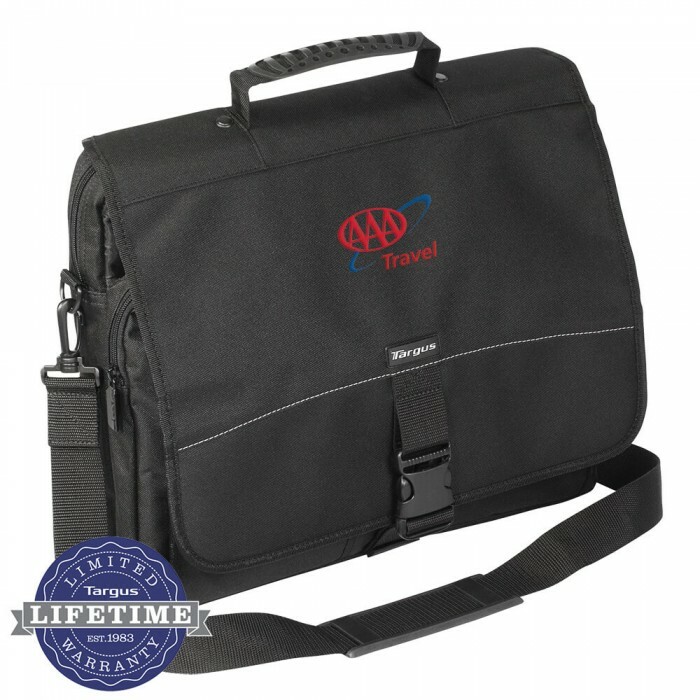 Mobility is made easy with the easy-grip top handle and adjustable padded shoulder strap. 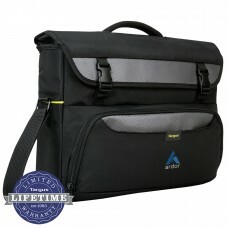 This Messenger laptop Case offers great flexibility – a simple design that’s functional. Size: 15 1/4W" x 12 3/4H" x 3 1/4D"
Imprint Size: 2 1/4W" x 3/4H"